France’s new law, which was passed in December 2015, takes effect for commercial digital photos starting on October 1st, 2017. 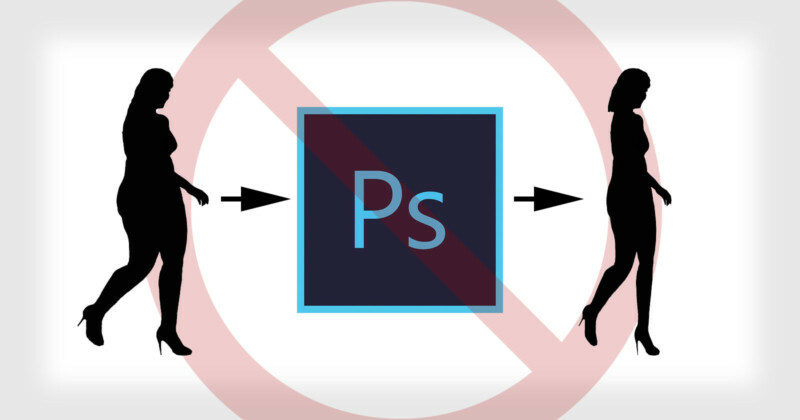 From that date forward, photos with digitally manipulated models will need to be marked as photographie retouche, which translates to retouched photograph. Advertisers who break this new law face fines of up to 37,500 (~$44,000). Effective October 1, 2017 a new French law obliges clients who use commercial images in France to disclose whether the body shape of a model has been retouched to make them look thinner or larger. As a result, also effective October 1st, we have amended our Creative Stills Submission Requirements to require that you do not submit to us any creative content depicting models whose body shapes have been retouched to make them look thinner or larger. Please note that other changes made to models like a change of hair color, nose shape, retouching of skin or blemishes, etc., are outside the scope of this new law, and are therefore still acceptable. 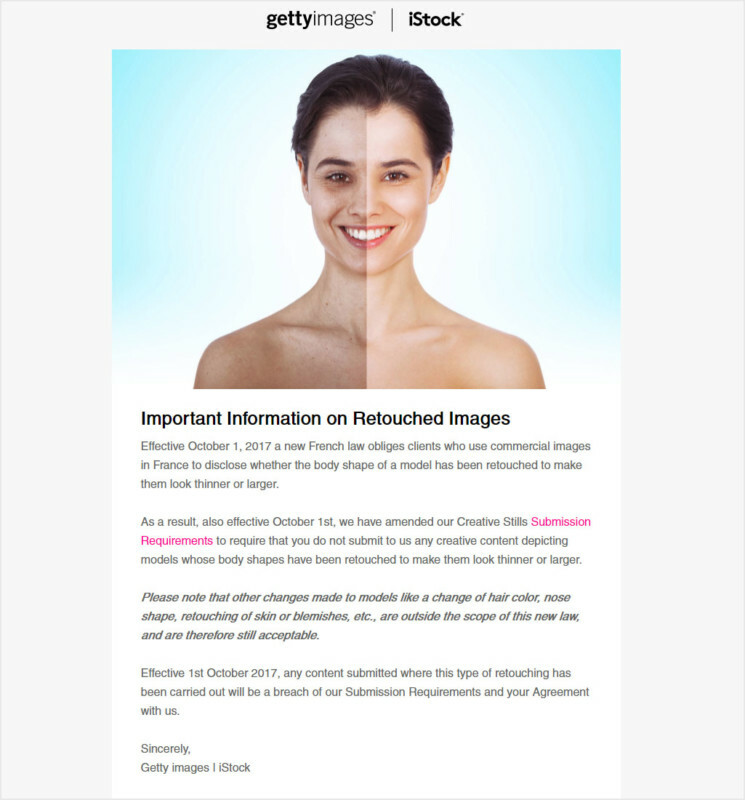 Effective 1st October 2017, any content submitted where this type of retouching has been carried out will be a breach of our Submission Requirements and your Agreement with us. From the email, we see that this new policy doesn’t affect most of the work done by professional retouchers – it’s specifically targeting editing that has been done to alter the model’s figure and weight. It appears that the policy change is a blanket ban affecting worldwide contributors and not just those in France. It’s also unclear what Getty Images plans to do with policy-violating photos that are already part of its massive 80+ million photo collection. We’ve reached out to Getty Images for comment and will update this post if/when we hear back.